A home is a major investment that requires educated decision-making and expertise from industry professionals. Our professional inspectors provide a thorough home inspection of your future home and always deliver unbiased, educational, and honest information that will provide you the information you need to proceed with your purchase or maintenance plan in confidence. Your inspector will guide you through the home answering all your questions. Your clearly organized report will include specific recommendations and color photographs within 24 hours but usually early the following morning. We have years of experience providing residents of the greater Boston area with professional home inspections and related services, and we can’t wait to work with you. At Mystic Home Inspection, we believe that verbal and written communication is key in the industry of buying, selling, and inspecting homes. Without all of the proper information, home buyers could easily make mistakes as they purchase the home and may even have difficulties maintaining it in the future. Having worked in the consulting field, we are experienced communicators dedicated to answering all of your questions. It is recommended that you attend on inspection day so you can join the inspector and learn first-hand any issues found with the home. 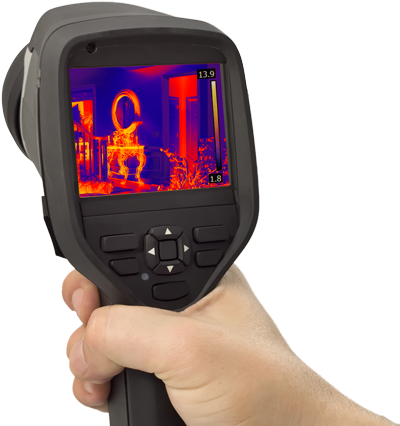 Your clearly written report with color photos will then reinforce what you saw at the inspection. If you have questions, you are encouraged to contact your inspector via text, email or phone. Our home inspection reports are well organized and easy to read. They include descriptions of systems and components, clearly written recommendations, color photographs, and even video and infrared thermal imaging when necessary to support what is written. Reports are organized with an overview summary (Repair, Minor, Further Investigation, etc.) followed by sections (Heating, Plumbing, Electric, etc.) that are easy-to-read yet very detailed. Within 24 hours after the inspection but usually early the following morning, your digital report can be easily accessed from a computer or mobile device. Mystic Home Inspection uses a report writing and delivery system from HomeGauge, the most advanced system in its class. 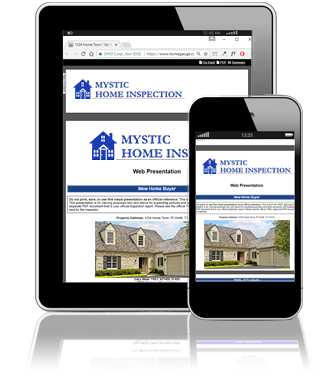 Contact Mystic Home Inspection with a question or request for a quote!